Here are some wonderful vintage Christmas events, in the run up to Christmas! Some are parties and special Christmas night’s out, others are great family days out for a little vintage Christmas tingle. Enjoy, and let me know what you think. Never say Prohibition spoilt Christmas! 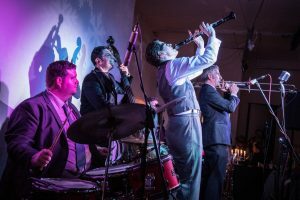 The superb and popular 1920s experience, The Candlelight Club, are having a secret 1920s party with live music will from the Silver Ghosts, compering by Champagne Charlie, vintage DJs Holly and Jojo from the Bee’s Knees and a lot of baubles and snowflakes. Get your glad rags on and get a ticket! There is still time to book last minute 1920s hair and make up or a Charleston dance lesson for you and a group of friends to get speakeasy ready. 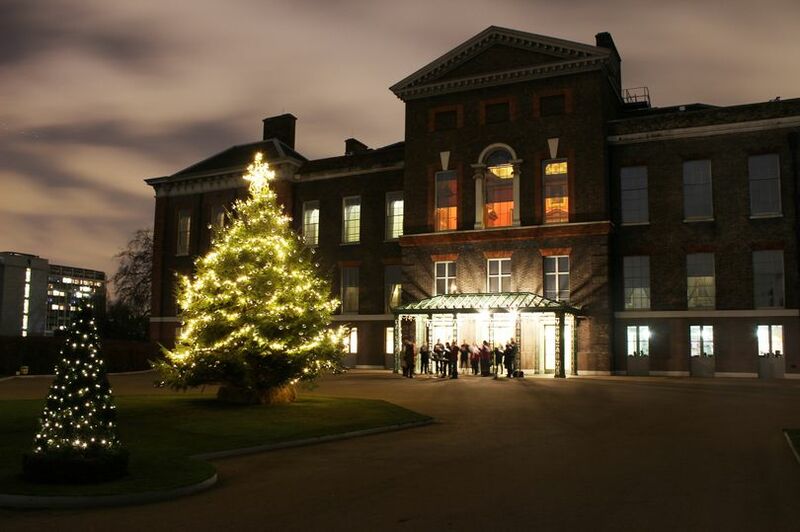 Visit Kensington Palace the childhood home of Queen Victoria, and see its halls decked out for the Victorian era. Attractions include Victoria and Albert’s beautifully decorated Christmas tables where they displayed their Christmas gifts, Victorian ‘forced flowers’ – a demonstration of the Victorian penchant for cultivating exotic fruits and vibrant flowers in winter. There will also be family friendly days of music, lantern-making workshops and more, such as creating a cornucopia Christmas decoration (1-2 December) and designing your a festive card (8-9 December). enjoy seasonal music from the Prince Regent Band (27 December – 1 January), There will be traditional Christmas music from the Prince Regent Band on original Victorian brass instruments from 27 Dec – 1 January. All festive activities are included in the admission price. Weds 14th Dec Kentish Town, Fri 7th Dec Leeds. 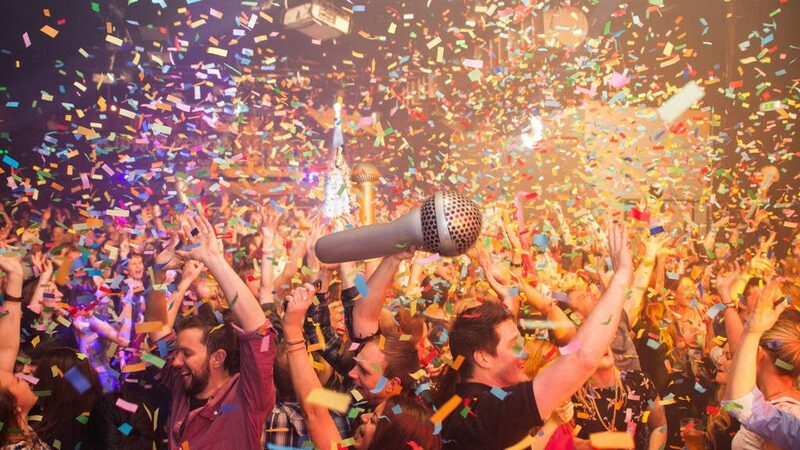 For the ultimate 80s rock night out, venture to the O2 for a night of screaming along and belting out your heart to all those 1980s power ballads. Get your mullet and your inflatable guitar ready for some 1980s Christmas fun. Why not get our 1980s hair and make up to get yourself rockstar ready? Saturday 15th and Tuesday 18th December, 7pm. Join the suave Jay Gatsby, Nick Carraway, Daisy Buchanan and a host of other characters from the novel for a stylish immersive theatre experience at this five star hotel, St James Court. After a drinks reception, you’ll be taken through a recreation of the Drugstore bar, one of Mr Jay Gatsby’s drugstores, with bar staff in character selling authentic 1920s cocktails, and you’ll meet the roaming characters. 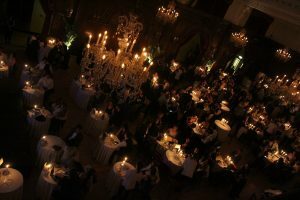 Then you’ll be guided through to Mr Gatsby’s mansion, interacting with characters from the novel, experiencing dance sequences that you can join in with, and then sitting down for dinner and other theatrical scenes and festivities making your part of the night’s story. Get our 1920s hair and make up to feel the part! 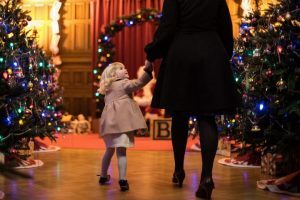 Grotto from Sun, 2 Dec 2018 — Sun, 23 Dec 2018, From 10:00 to 15:00, Tickets for children under 12 are £7.00, there are special Autism friendly openings – see the website. A 1940s style Christmas grotto in the library of the mansion, with fantastic christmas crafts while you wait. Visit the mansion and learn all about the Alan Turing and the team of codebreakers who did so much to help Allied victory in the second World War. 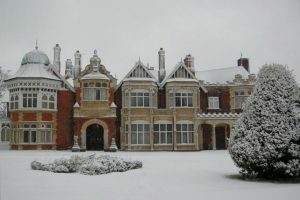 Santa will be at home in the library at Bletchley Park, the wonderful place of the 1940s codebreakers, and each child will receive a present and there will be Christmas Crafts while you wait. There are even dates that are tailored towards children with sensory issues, which are autism friendly. I guess parents will also get to explore the world of Alan Turing and the codebreakers and see what went on in their effort to get vital intelligence, using the first computers and mathematics. Fans of the Imitation Game with families in tow will love this.